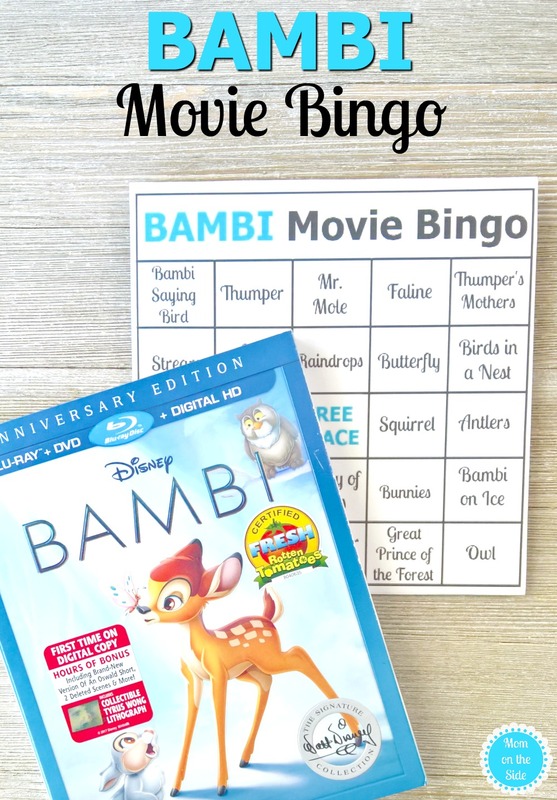 Bambi is celebrating it’s 75th anniversary and I’ve got fun Bambi Movie Bingo printables for family movie night! 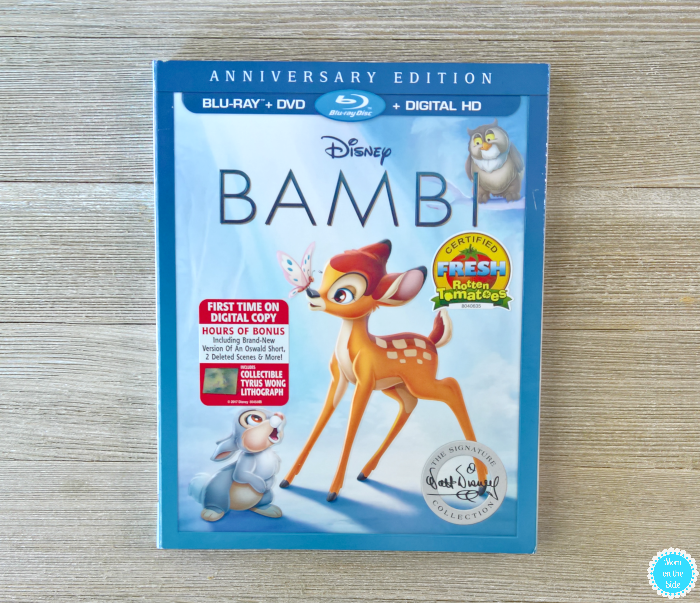 You can now bring home the Bambi Blu-ray, as well as enjoy it on Digital HD and Disney Movies Anywhere! With Bambi joining The Walt Disney Signature Collection, this release includes a variety of new bonus material that make it a must own. Check out all the Bambi Bonus Features, and grab your printable bingo cards! A little back story on this movie that loved by generations, “Bambi” was released in 1942 during World War II and took over five years to make due to its exquisite hand-drawn artwork and attention to detail. Holding the #3 spot on American Film Institute’s “10 Top 10,” Bambi is honored as one of the ten greatest animated films of all time. THE BAMBI EFFECT: “Bambi” was full of innovations for its time. Let’s take a look at how those past innovations affected future Disney animated titles all the way up to today. DELETED SCENE: BAMBI’S ICE AND SNOW: Bambi coaxes Thumper and his brothers and sisters to come play on the ice during the first snow. DELETED SCENE: THE GRASSHOPPER: A grasshopper confronts Bambi and Thumper and finds himself in quite a predicament. BAMBI FAWN FACTS– Think you know everything there is to know about Bambi and his forest companions? Well, it’s time to discover some fun real-life facts about the creatures that live in the forest he calls home. OSWALD THE LUCKY RABBIT: “AFRICA BEFORE DARK”: Oswald Short. CELEBRATING TYRUS WONG (DIGITAL EXCLUSIVE): A heartfelt look at the man who played a key role in the success of “Bambi.” Much like Mary Blair and Eyvind Earle, Tyrus Wong had a unique signature style all to his own. 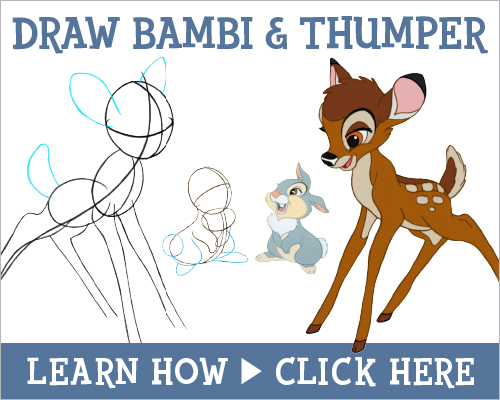 The soft water-colored backgrounds and beautiful palettes in “Bambi” were inspired by Tyrus’ concept art paintings. When you are done watching those bonus features and learning to draw Bambi, hit play on the movie and play Bambi Movie Bingo! There are 6 different Bambi Movie Bingo Cards. Each space is filled with people and things to find throughout the movie. Some are as easy as Thumper and Mr. Mole, and others are a bit trickier, like a birds in a nest. 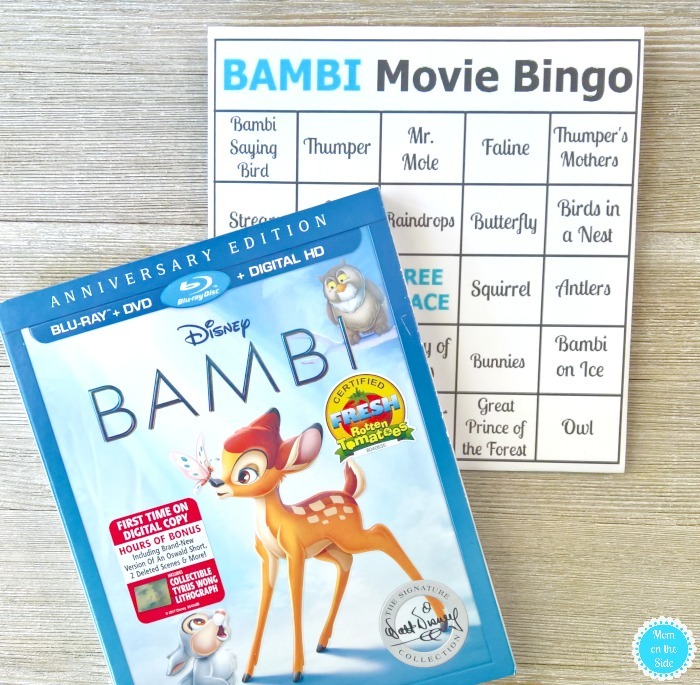 Grab your bingo cards below and pick up Bambi on Bl-ray for some family movie night fun.